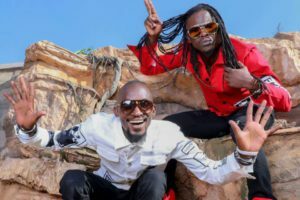 Deceased Mowzey Radio (left) and singing partner Douglas Mayanja aka Weasal. File photo. Currently, there’s a rumour making rounds that even if Radio died singing from Goodlyf, he had already finalized plans of partying ways with his long term partner Weasel, something that is being refuted by the Goodlyf management. It should be noted that before Radio’s death, he had more than 20 songs in store which he did alone under a label called Angel music. The solo project is the source of the rumour but close sources assert that Radio started Angel music with a one Michael Ross, a pop musician turned gospel artiste. The two decided to do a gospel album under Angel Music as a tentative label outside Goodlyf. A 12-track album was done although only two songs have been released from the album. They include Nyongera Amaanyi done by producer Bless, Tambula nange done by producer Eli Arkis are from the album and Maama that the deceased dedicated to his mother. The album will be released from Swangz Avenue once it gets ready.